The Belize Training and Employment Centre (BTEC), a unit of BELTRAIDE, one of the leading industry specific training centers in Belize, today held a certificate ceremony at the Independence High School in Independence Village. Sixty participants received certificates in areas of Lifeguard training; Gardening and Landscaping; Hospitality and wait staff; Introduction to Bartending and Housekeeping and Janitorial services. The training was geared towards persons who are employed or seeking employment in the various fields. .The five different trainings took three weeks and were in held in both Placencia and Independence. Participants were from several different communities in the area.The gardening and landscaping class along with BELTRAIDE and the Ministry of Agriculture also handed over a garden they had prepared to the students of the Independence High School. BTEC and in extension, BELTRAIDE remains committed to develop, deliver and sustain Belize’s quality workforce. 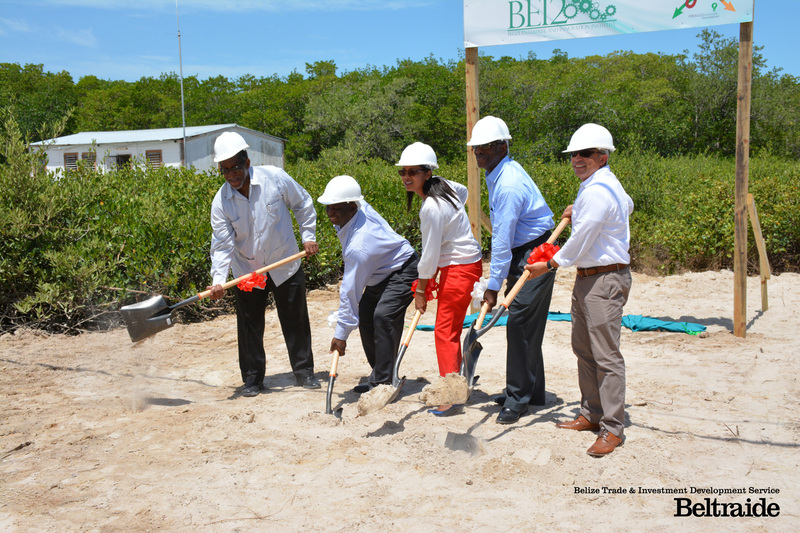 BELTRAIDE & UB PARTNER TO CONSTRUCT GOVERNMENT OF BELIZE’S FIRST-EVER GREEN BUILDING! 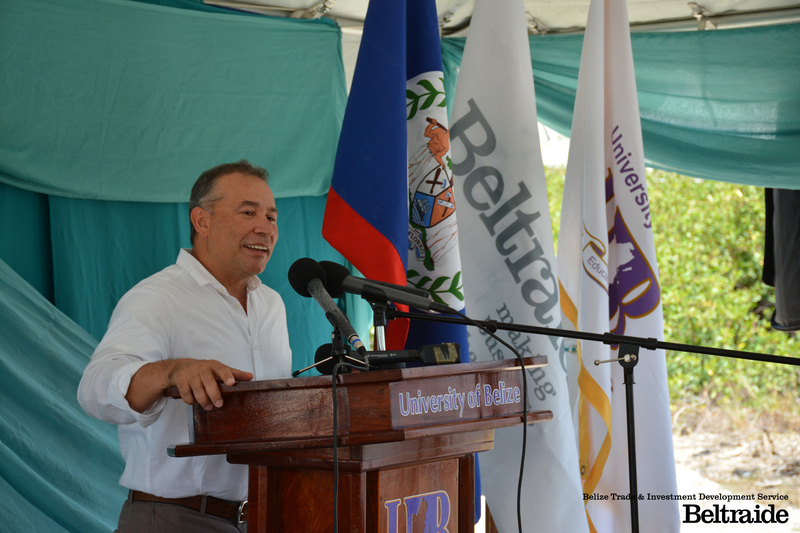 On September 17, 2015, the Belize Trade and Investment Development Service (BELTRAIDE), in collaboration with the University of Belize held the ground breaking ceremony for the construction of a new facility: Belize Enterprise and Innovation Institute (BEI2). 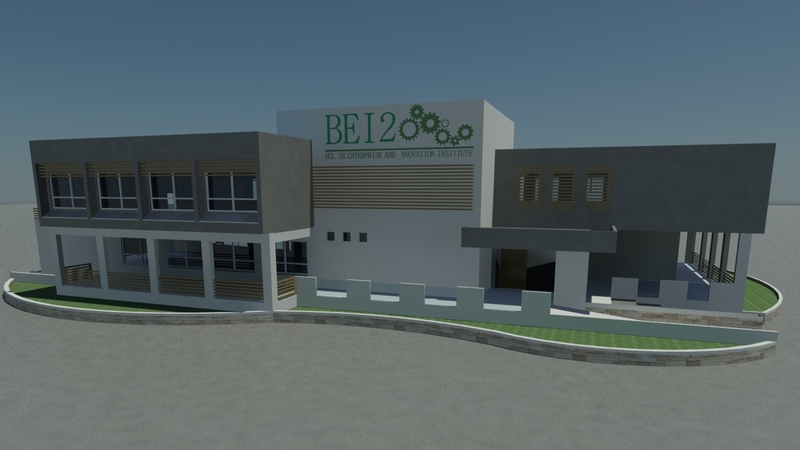 The building will be located on University of Belize’s Faculty of Management and Social Sciences campus in Belize City and will house two of BELTRAIDE’s technical units: SBDC Belize an Export Belize. It is designed to nurture entrepreneurship and innovation and strengthen Belize’s enterprise competitiveness. The building will accommodate a series of meeting rooms, small business incubators as well as a resource centre. The BEI2 is the first government facility to incorporate both Green and SMART technologies which will be beneficial in promoting environmental conservation as well as encouraging the use of modern technologies to facilitate enterprise and innovation. At the launch a memorandum of Understanding was signed between BELTRAIDE and the University of Belize as a symbol of an extended partnership. Signing on behalf of UB was Chairman of the Board of Trustees, Harrison Pilgrim and on behalf of BELTRAIDE was CEO in the Ministry of Trade, Investment Promotion, Private Sector Development and Consumer Protection, Michael Singh, other signatories included: Leija Melanie Gideon, Manager of Enterprise and Innovation, BELTRAIDE and President of UB, Alan Slusher. The facility is being designed by Hilberto Riverol Jr.
BELTRAIDE wants to sincerely thank the US Mission to the OAS, the OAS and University of Texas at San Antonio for all their kind assistance and guidance over the last three years. Without their assistance, BELTRAIDE would not be able to achieve all its successes under its SBDCBelize and EXPORTBelize units and have this very notable milestone of BEI2 groundbreaking.